Arts and Crafts in Fernando de Noronha . Get to know more about Arts and Crafts in Fernando de Noronha. The Brazilian Government has strictly banned the use of natural resources of the island; there is no scope for any kind of handicraft production. But if you are willing to take back a souvenir, even if it means an exorbitant price, then there are a few shops selling handicraft products made out of recycled materials. You may even see lampshades made of onion skin. You can head to the islands official handicraft store if you are really looking for some unique souvenir. Other souvenirs you can pick up here are diving equipment, T-Shirts and hats. There is nothing exclusive about the products sold, except for the memories and pictures you can take home. People of Fernando de Noronha are laid back, relaxed and happy. The island mostly wears a festive look and you come across people who are fun loving which is similar to mainland Brazil. 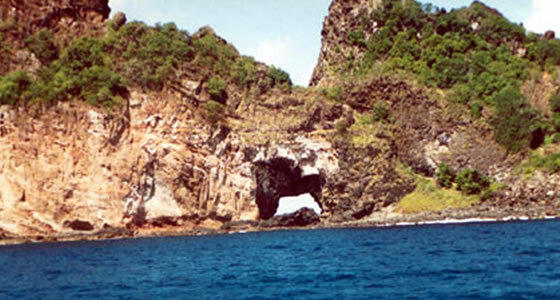 Fernando de Noronha has its calendar marked full of events of a varied nature. Parties, competitions, religious festivals and cultural events. In the year 2003, the island celebrated its 500th year with great pomp and show. The island is famous for hosting the World Qualifying Series of the surfing championship. There are a number of dining options in Fernando de Noronha. There’s no exotic food but you get to taste the local flavours. Some boats serve sea food during boat rides and it is a good opportunity to savour the treat. There are about 10 restaurants that dish out good cuisine, seafood platters, stews and salads. Shark meat is used to make a kind of cake, which the locals call “Tubalhau, which tourists should taste before leaving the island. Brazil’s national dish, Feijoada is a must try dish for food lovers, it is a combination of meats and legumes. Of course the coffee is excellent on this island. A couple of bars playing Brazilian music are open, the ambience in these bars is very simple and they serve the usual drinks. A five day vacation on the island will give you sufficient time to visit all the bars and restaurants on the island.